Like many, I have become dismayed at the breakdown of our social discourse. I had occasion to consider it recently in listening to a podcast I've come to enjoy -- the Joe Rogan Experience. Most people know Rogan as the spokesman for the UFC, the somewhat sophomoric comedian, and from way back, the host of the 2nd iteration of "The Man Show" (the first iteration of which included misogynist-turned-feminist Jimmy Kimmel). Most people -- until recently present company included -- do not consider Joe Rogan an intellectual. Perhaps he is not. However, in avoiding overstatement, we should be careful not to swing the pendulum too far the other direction. What Joe Rogan is, is intellectually curious. He challenges without being a jerk. He asks good questions. And he has interesting guests to interview in long-form format, which obviously gives a better picture of the person than a shorter interview, much less Twitter, Facebook and other social media platforms. The interviewee that got me thinking along these lines was Ted Nugent. Yes, that Ted Nugent. Some people love Ted Nugent, for his music or his politics. Others hate Ted Nugent, for the exact same reasons. 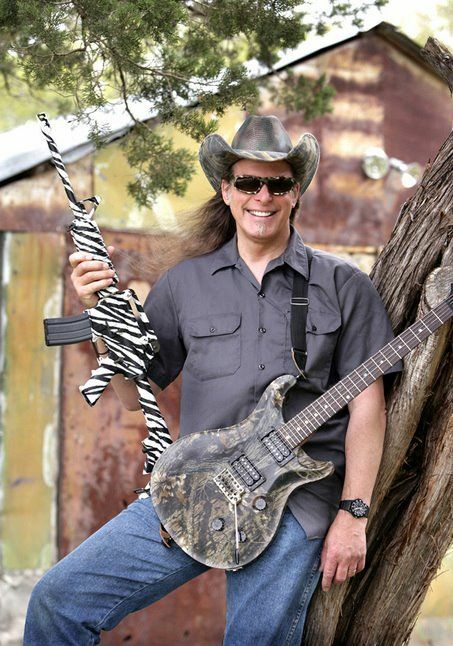 I've never quite known what to make of Ted Nugent. On the one hand, he's a fantastic guitar player and upholds some of the ideals I cherish too -- family, the lifestyle of an outdoorsman, hunting, fishing, shooting, etc. On the other, he's got a quick tongue which often seems to be ahead of his mind. Put bluntly, he says things that make me cringe. This interview gave me a glimpse of him I haven't seen before, either in shorter interviews or even on his hunting show, "Spirit of the Wild." And one of the things I realized was that for all of his wackier political ideas, for all of his lack of couth and vulgarity, and for all the times "overstatement" was a kind way of saying he'd gone off the deep end, Ted Nugent also has a wealth of knowledge and wisdom about bowhunting. This might seem out of sorts so far -- this is after all an Orthodox Christian blog, not a blog about politics or hunting or music. Bear with me. The thing that really stuck out to me was this guy who I'd put in a box with others I perceived to be like him -- Alex Jones, maybe Ann Coulter or Ben Shapiro -- this guy who at times says things that made me want to turn the channel, had another side to him. A side that interested and intrigued me. A side that was honestly fascinating. Ted Nugent is an historian of the bow and arrow. How the compound bow came to be. How bowhunting became legal in various states. How the bow and arrow began as a primitive tool used by primitive people, but became refined and perfected over the years as archers learned better and better ways to apply it, even as its use as a primary weapon for defense or obtaining food was greatly diminished. As a beginning archer I was fascinated by this. I listened to the entire interview. And that got me thinking -- how often do we simply put people in boxes? I think social media, Twitter in particular, but there are others, tends to bring out that tendency in us. We see others through the lens of their politics, or their religious affiliation, or their race, sexual orientation, or other abstract classifications. And if we don't like the box we put them in (perhaps that is precisely why we put them there), we write them off as having no value to add to us as persons or to society as a whole. Yet we as Christians are to see others in Christ, and more, to see Christ in them. Part of this problem is social media and its limitations encourage some of our worst traits. Narcissism is chief among them. We think we are so very important that our opinions matter more than other considerations (like someone else's feelings). Sarcasm is another. I speak it fluently, so mea culpa (more on that below). Still, when you only have so much space, points are sometimes easier to make by using rhetorical tools that mock and deride instead of explain and build up. Having these tendencies encouraged seems to me to make them habitual. And as with any other passion, becoming habituated to sin necessarily means losing habituation to virtue. I had occasion to witness this earlier this year. I posted an article by the Babylon Bee, a satire site, on Facebook. The article poked fun of Planned Parenthood by claiming they defended Bill Cosby because "sexual assault is only 3% of what he does." I found it funny, and also insightful. Several friends found it offensive. Some made that known in very polite terms. Some did not. But one thing that struck me was the desire on the part of those whose views had been mocked to virtue signal in the other direction. Instead of refraining from comment, comments were made. Publicly. The purpose was clear -- to let others know which side the commenter was on. In one instance, the respect for boundaries broke down entirely, resulting in that person's comments being deleted from my page. On the one hand, I certainly bear some responsibility for that. I posted an article I knew was intended to make a point with sharp, biting sarcasm. And it quite clearly made that point. On the other hand, others felt it necessary to respond, with the responses nearly all polite save that one responder I mention above. And it makes me wonder -- why? Why did I want to post that article? Clearly, I thought it made a good and valid point, but I knew it was inflammatory. I knew people who felt a certain way about abortion would be challenged by it. And certainly those challenges are necessary in a world where the mainstream media works so hard to pretend opposition to abortion is some lunatic fringe in our society. But then, I posted it in a place where the only possible responses were combox responses. And I got exactly that which the forum gives best -- mostly gentle commentary that served the purpose of showing opposition to the article, and in one case mocking and sarcasm in return (directed, unfortunately, at my wife). And why did they feel the need to respond to it? What is it about social media that encourages us to draw battle lines in this way? To show everyone which side we are on? One thing that should be stated is that I know all of the people who commented -- including the one whose comments were deleted -- personally. These are not merely virtual acquaintances. I've met them. I know they are more than their comments on social media. They know I am more than mine. And yet one felt comfortable attacking my wife in that forum because he disagreed with her politics. Mocking her and deriding her. And when that happens, it tells me a polite society (such as we were ever polite) is broken. And I wonder what we can do about it. I think part of the answer comes down to how we view each other as persons. We as persons are defined first as being created in the image of God. 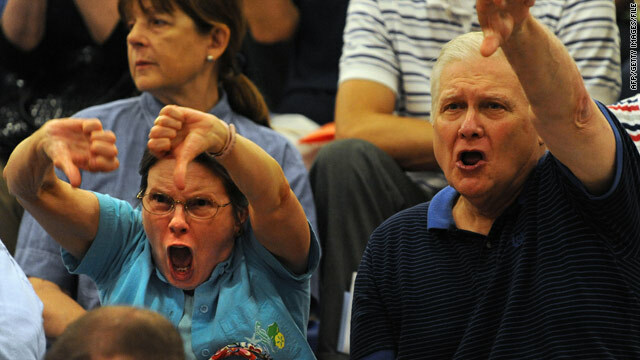 Those we disagree with, even vehemently, are created in God's image. Those whose comments might cause strong offense are ultimately there for our salvation because they are sons of the Father. They are our brothers and sisters. They are not our enemies. I fall short of this, often. It is too easy to reduce people to arbitrary classifications. And we know the evils that are borne of this -- racism, antisemitism, etc. Every mass murderer in history has first reduced their targets to the level of subhuman. The great irony of the example I chose is this is exactly how people who wish to see abortion continue in our society treat the unborn. But it starts with me, and for you it starts with you. As persons, we are more than our politics. We are more than our prejudices. We are more than the lowest common denominator we share with some larger group. I am not in any way calling for us to stop using social media. I do think we ought to consider how we use it, and why.